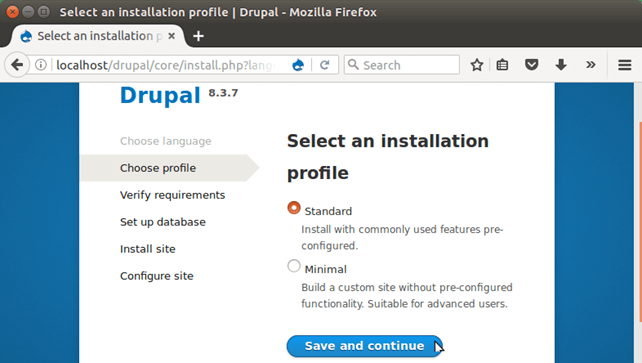 How to Install Drupal in Ubuntu? Drupal is an open source CMS (Content Management System) and framework. It is written in PHP and can work on cross-platform. It is widely used to design web-sites and provides back-end framework for at least 2.3% of all web-sites worldwide. 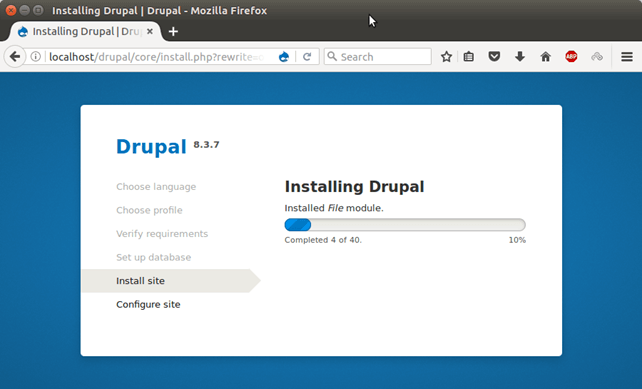 Here, we will install drupal in Ubuntu operating system. This whole process includes the following steps. Before installing drupal, make sure our operating system meet the following prerequisites. Before downloading, change current working directory to the /var/www/html. The following command will download a zip folder of drupal from the official site. Use the following command to extract the downloaded folder. Use the following command to create database into the MySQL. 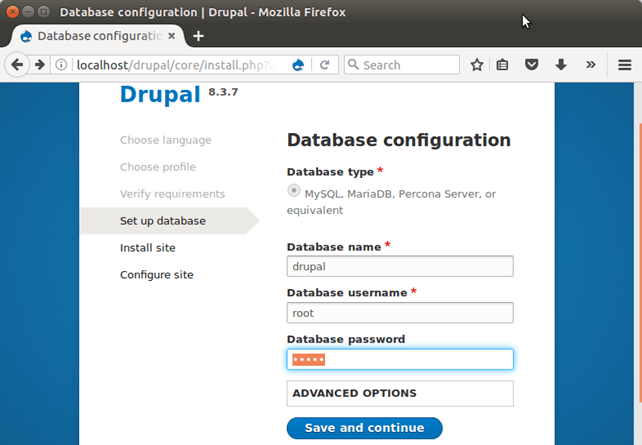 let's access the drupal project at localhost on the browser. And follow the installation instructions. Create a copy of defult.settings.php file as settings.php located inside the default directory. We have used the following command to create a copy. It will open server config file, locate the following code segment and change AllowOverride None to AllowOverride All. After that, change rewrite mode by using the following command. And restart the Apache web server by using the following command. Use the following command to set permission for the drupal parent folder. After doing all these things now come back to the browser and configure database. It starts installing drupal to the local system. 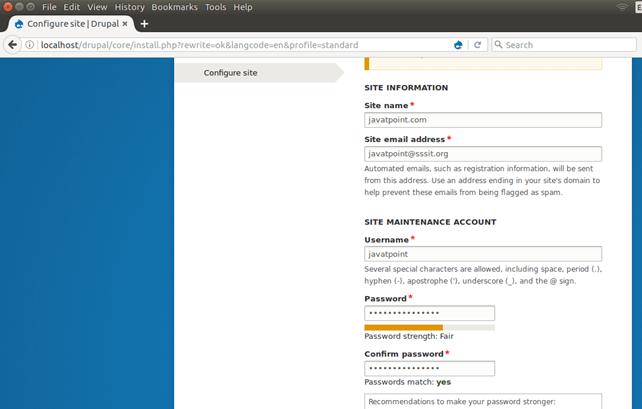 After successfully installation, provide site information and login credentials and save. After saving, drupal shows home page to the browser. This looks like the following. It means, we have successfully installed drupal into the Ubuntu operating system.